Below is a partial list of other organizations in Vermont that manage solid waste, organics, construction and demolition debris, household hazardous waste and other materials. Please visit their web sites for more information and helpful resources for managing waste and for outreach and education to residents, businesses and schools. 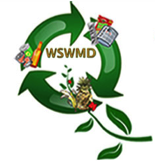 Vermont Agency of Natural Resources Solid Waste Management Program: The solid waste program oversees laws, rules, policies, and planning related to solid waste management in the state. It regulates solid waste management facilities and activities and certifies the state’s landfills, transfer stations, haulers, composting, and recycling facilities. The program also provides solid waste technical and financial assistance to towns and solid waste districts and ensures remediation of illegal disposal sites. Visit them at http://dec.vermont.gov/waste-management.